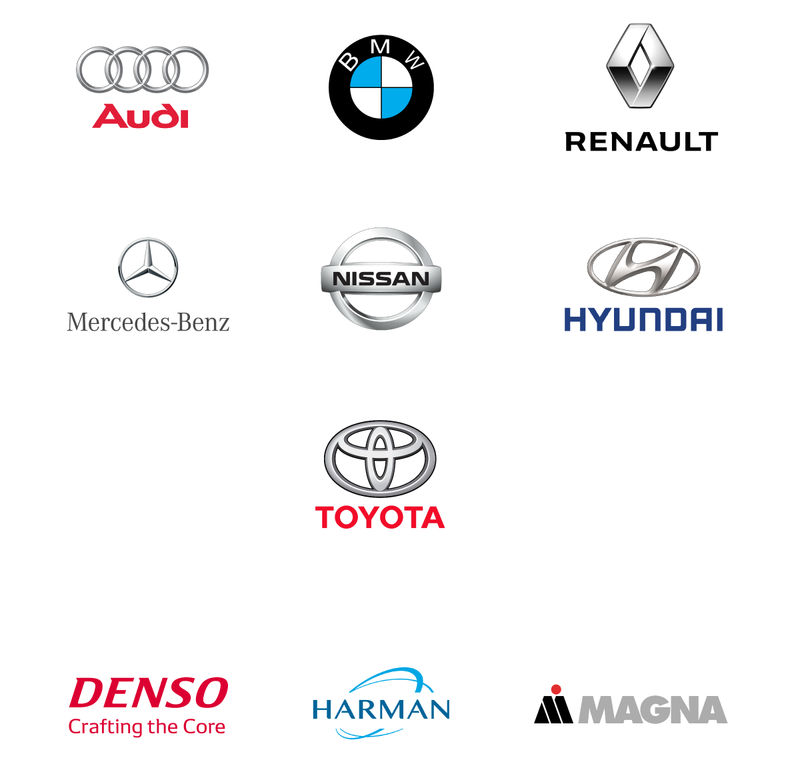 With over a decade of experience pioneering Hypervisor and Hypervisor-based security, Perseus guarantees that the automotive industry’s top brands capture opportunities for enhanced security and performance in a connected world. Rapid progress in automotive technology means in-car systems are becoming ever more complex. By 2023 around 50% of cars on the road will be connected and could carry more than 120 connected services. Current security solutions fall short of safeguarding in-car connected services and data transfer with third-party entities. Our roads have the potential to become the next high stakes battleground for malicious hackers in the near future. Linux is fast becoming the de facto operating system for in-car services like rear view cameras. However, typical bootup speeds of over ten seconds mean critical delays in service impact driver safety. Technology advances are resulting in more complex in-car systems. This presents pre-market integration challenges as well as aftermarket maintenance and upgrade issues. Perseus Hypervisor enables streamlined pre-market implementation and aftermarket management, reducing cost and increasing efficiency. The rapid market expansion means that connected cars will become a primary target for hackers in the near future, resulting in deadly consequences and reputational risk. 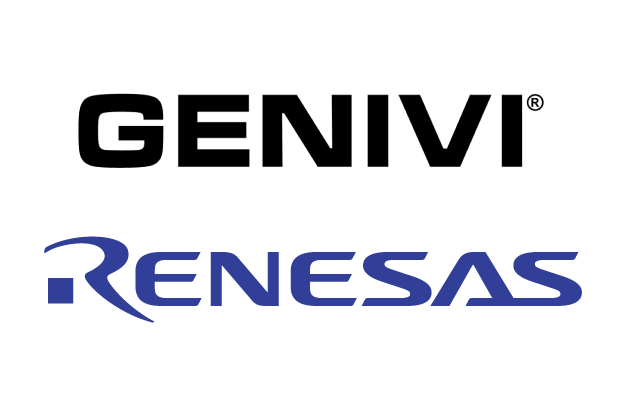 Perseus Hypervisor-based security systems provide constant, real time protection, keeping vehicle fleets and the roads safe. Linux powered devices like rear-facing cameras suffer from poor boot up speeds, resulting in poor performance and increased safety risk. Perseus delivers the world’s best performance enhancement for Linux-based in-car devices reduces boot up speeds from 15 seconds to just 2. 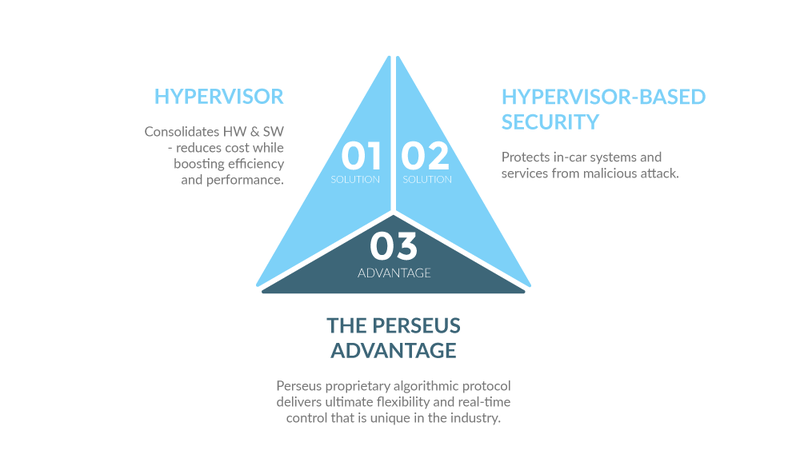 Perseus algorithmic Hypervisor-based security control protocol delivers the world’s most robust real-time protection for connected car solutions. Copyright © 2018 Perseus Inc. All rights reserved.